It’s been a little over a month since I got back from Manchester, and this post should’ve come out earlier but I’ve been swamped. The conference was absolutely lovely, the organisation was a 110% on point (serious kudos, I know first hand how hard that is). Others on Planet GNOME have written extensively about the talks, the social events, and everything in between that made it a great experience. What I would like to write about is about why this year’s GUADEC was special to me. GNOME turning 20 years old is obviously a large milestone, and one of the main reasons I wanted to make sure I was at Manchester this year. There were many occasions to take stock of how far we had come, where we are, and most importantly, to reaffirm who we are, and why we do what we do. And all of this made me think of my own history with GNOME. In 2002/2003, Nat and Miguel came down to Bangalore to talk about some of the work they were doing. I know I wasn’t the only one who found their energy infectious, and at Linux Bangalore 2003, they got on stage, just sat down, and started hacking up a GtkMozEmbed-based browser. The idea itself was fun, but what I took away — and I know I wasn’t the only one — is the sheer inclusive joy they shared in creating something and sharing that with their audience. 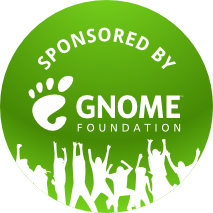 For all of us working on GNOME in whatever way we choose to contribute, there is the immediate gratification of shaping this project, as well as the larger ideological underpinning of making everyone’s experience talking to their computers better and free-er. But I think it is also important to remember that all our efforts to make our community an inviting and inclusive space have a deep impact across the world. So much so that complete strangers from around the world are able to feel a sense of belonging to something much larger than themselves. I am excited about everything we will achieve in the next 20 years.